Sri Mysore Vasudevacharya is a well-known name in the field of Karnatak Classical Music. 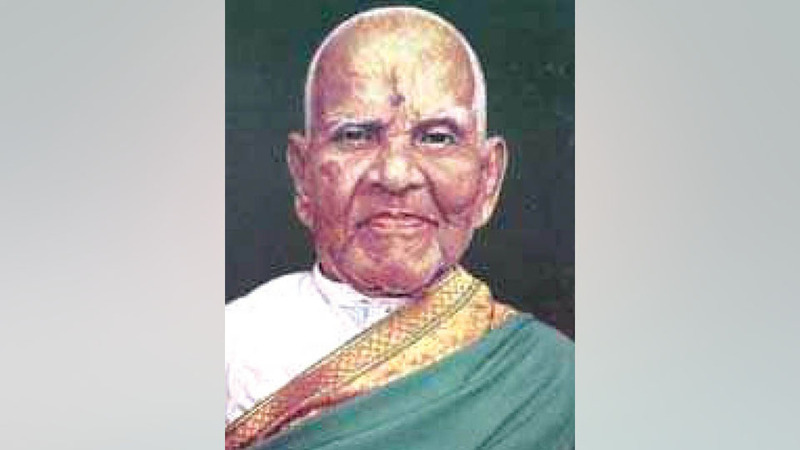 Being an eminent scholar of Sanskrit and a great Vaaggeyakara, he was rightly honoured with the awards like Sangeetha Kalanidhi and Padma Bhushana. We should feel proud that he was a resident of Mysuru. But at the same time, it is unfortunate that we have left the residence in which this great musician lived for more than four decades, in a dilapidated condition. However, we should be thankful to Yadupathi Putty and his team of music enthusiasts for taking the initiative to bring back the austere resonance of classical music into this holy abode. Surabhi Ganakala Mandira has joined hands with these volunteers in arranging music programmes at this auspicious venue. The students of ‘Surabhi’ are presenting a musical feature, “Sri Vasudeva Namana,” under the guidance of Dr. Sukanya Prabhakar, at 11 am on Sunday, 10th June at this house located near Basaveshvara Circle in Hale Agrahara. The feature throws light on the interesting situations under which some of the compositions of Sri Vasudevacharya took shape. All the music-lovers are requested to attend this function and encourage the organisers in their endeavour of bringing back the past glory of this great Vaaggeyakara.